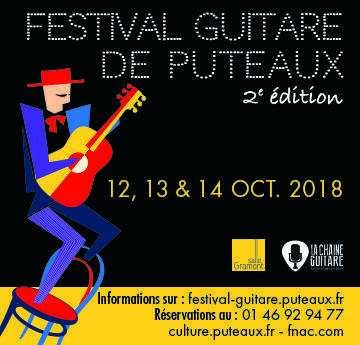 The Puteaux Guitar Festival includes a luthier guitar show with 49 exhibitors as well as 28 demo concerts of instruments, amps and pedals by professional musicians on Saturday October 13rd and Sunday October 14th from 15:00 to 18:00. A wonderful opportunity to see and especially to hear all this beautiful gear played by talented pro musicians. The principle of the demonstration concerts is simple: a musician, a guitar (and an amp/pedal if the guitar is electric). 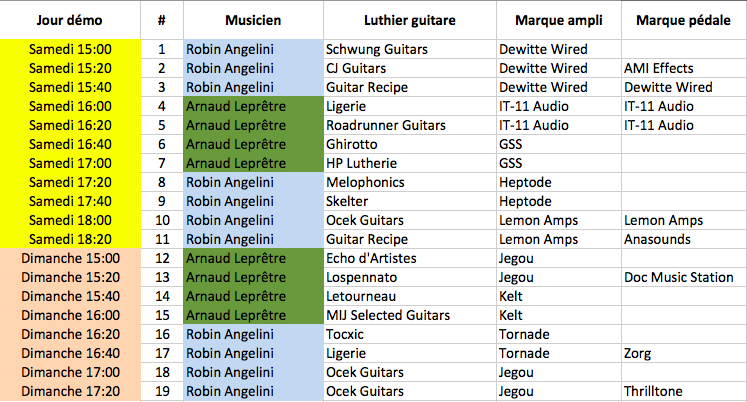 No backing track, no vocals, just the musician and his tools to make music for 20min per session.